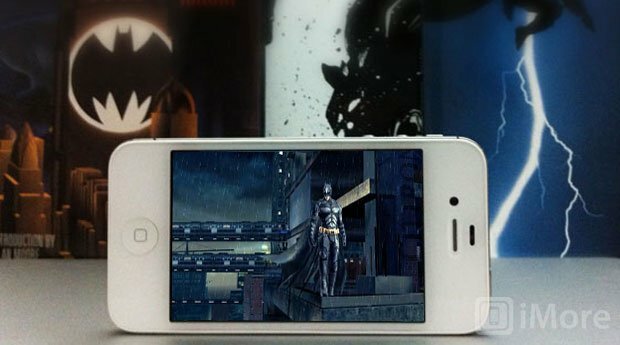 Gameloft has announced that it will be releasing its highly anticipated game, The Dark Knight Rises on July 20th. The game is based on the upcoming Batman film with the same name and will be the only official game based on this movie; the information comes from Pocket Gamer. Featuring dozens of missions and random events like jail breaks, car chases, and hostage situations, The Dark Knight Rises aims to completely immerse its players in Gotham City. As players navigate Batman through the levels of the game, they will need to master a complex and cinematic combat system in addition to the Dark Knight’s customary gadget goody bag. When the time for punches and Batarang tossing has passed, players will also have the chance to drive the Batpod across the streets of Gotham or take to its skies in The Bat. There are now two trailers showing how the game looks and they're both worth watching; we have embedded them below. If you’re a Batman fan, you are going to love playing this game. There is no information on pricing but we would assume that it will be similarly priced to Gameloft’s last movie-based game, The Amazing Spiderman. That hit the App Store last month for $6.99 and was a universal app for iPhone, iPad and iPod touch. Sometimes games based on movie franchises don't live up to expectations as they use the name to disguise poor gameplay. Gameloft appears to have addressed this complaint as its last game has an average rating of over four and a half stars from nearly three thousand reviews; hopefully The Dark Knight Rises will be just as good.